Teresa Kramarz is the Director of Munk One, a program for first year undergraduate students at the Munk School of Global Affairs and Public Policy, and Co-Director of the Environmental Governance Lab alongside Matthew Hoffmann and Steven Bernstein. 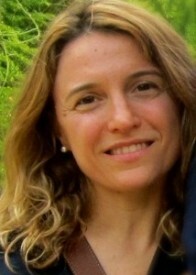 An expert on international organizations and global governance, with emphasis on global environmental politics, her work has examined the impact of the World Bank’s public-private partnerships on democracy, innovation, and financially sustainable conservation governance, the legitimacy of the World Bank as a global knowledge actor, and the local/global relationship in the provision of global public goods. She has current and upcoming publications with Review of Policy Research, Global Environmental Politics, Springer, Oxford University Press, and the Institute on Globalization and the Human Condition. Dr. Kramarz has extensive experience in her field having worked for almost ten years with the World Bank, the United Nations Development Programme, the Food and Agricultural Organization, and the Canadian International Development Agency on sustainable development programs, institutional analysis and capacity building for the biodiversity, climate change and decertification conventions.